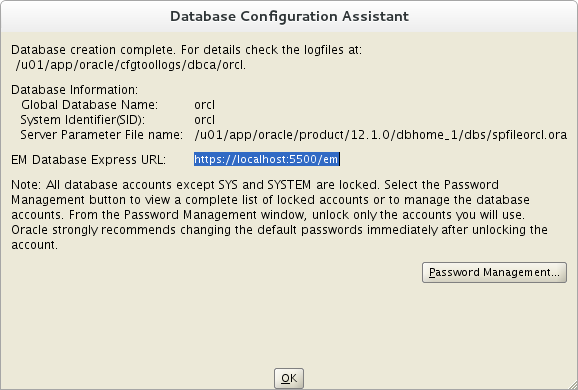 ORA error message itself is self explanatory, When undo tablespace is in use and we will try to drop that tablespace than oracle pop up with ORA-30013 error. Wait until active transactions are COMMITED or ROLLED BACK. If so, you can easily drop mentioned tablespace. You can kill that transaction if it unnecessary. Following command will failed because there is active transactions. Retrive SID and SERIAL# from below mentioned query in order to kill session with ‘alter system kill session’ command. 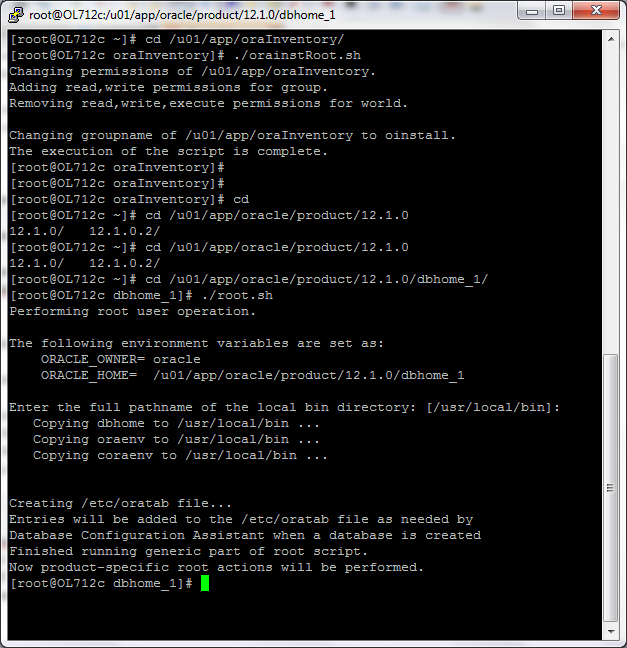 If you are creating SMALLFILE datafile (default) with 8k blocks with datafile size greater than 32 GB than oracle will pop up with ORA-03206 error. Because oracle will allow only up to 32 GB of datafile size limit with 8k blocks, maximum data blocks per datafile : 2^22 -1 = 4194303. So oracle simply won’t allow you in this case. If you wish more than 32 GB datafile with 8k blocks than your datafile should be create with BIGFILE keyword. Oracle allows max number of datafile is 65533 and Maximum data blocks per datafile is 2^22 -1 = 4194303 blocks. Create tempfile with less than 32 GB size or use BIGFILE keyword. In above example, I am facing ORA-03206 with tempfile creation, you may face the problem with datafile too. Same solution will be applicable. If your existing datafile exceeds limit of 32 GB, than you will receive same error message, solution is to add new SMALLFILE datafile to the associated tablespace. As per pre-requisite list, ensure your swap size with following Linux command, If swap memory don’t meet minimum requirement than increase it. Nice article on increasing swap size is here. 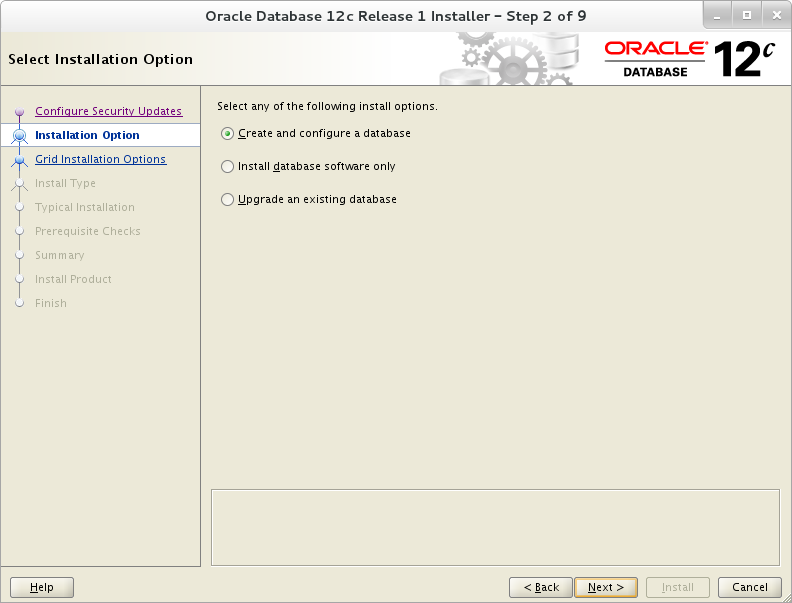 Note: OL712c is my server name with associated private IP. Update hostname entry in “/etc/hostname” file. Append following lines to “/etc/sysctl.conf” file. Append following lines to “/etc/security/limits.conf” file. Set SeLinux Permissive by editing “/etc/selinux/config” file. Take reboot in order to take effect. Installed following packages with the help of YUM utility: Most of the packages are already installed while OS installation. 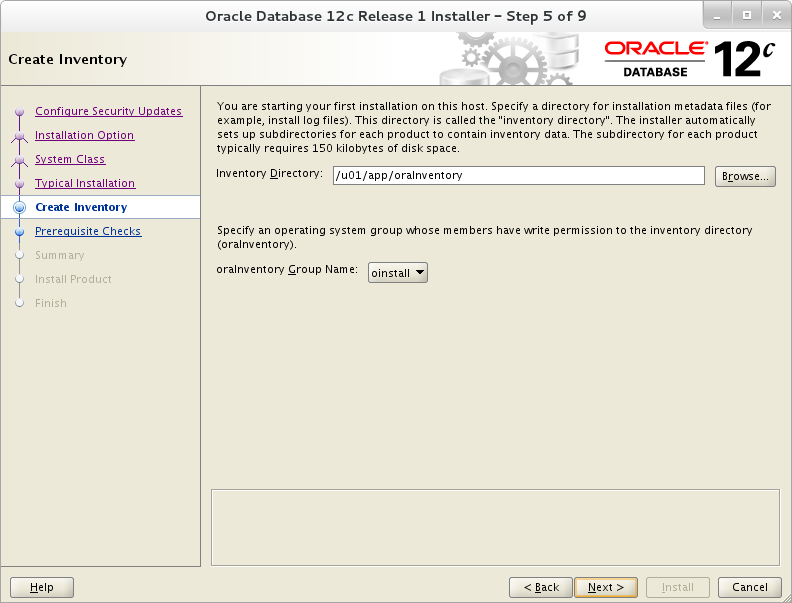 Download oracle 12c R1 from oracle site, here. 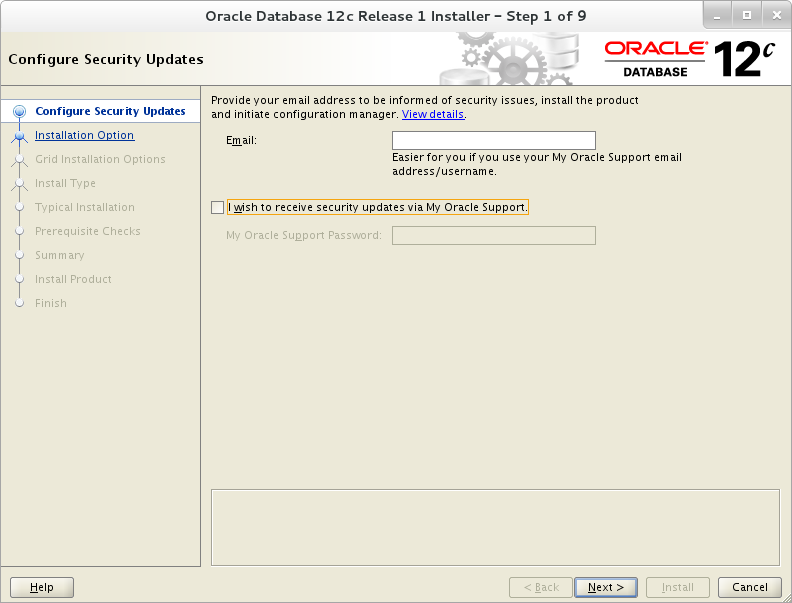 Un-check security updates check box and continue. 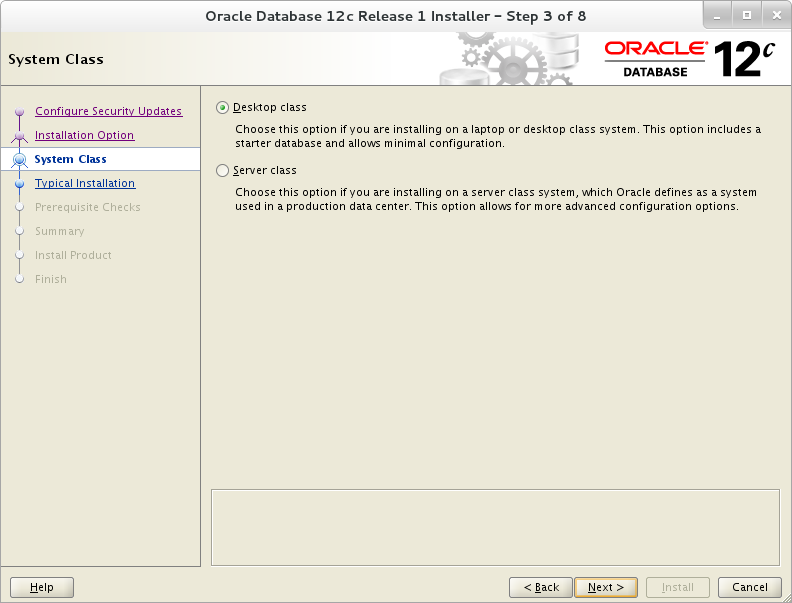 Provide system class information, Select Server class if you are installing oracle on server, in my case I am using VM on my personal lappy. Provide strong administrative password with pluggable database name, and continue. 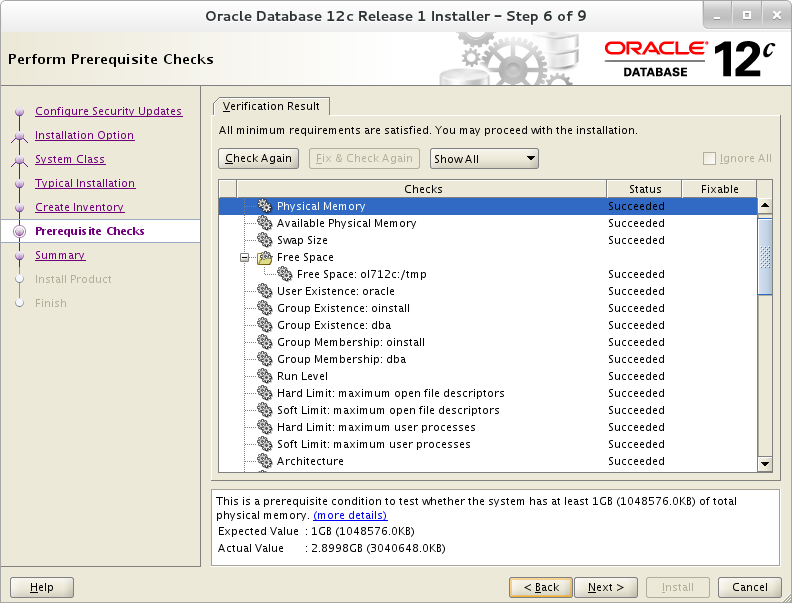 Ensure summary and continue with installation. 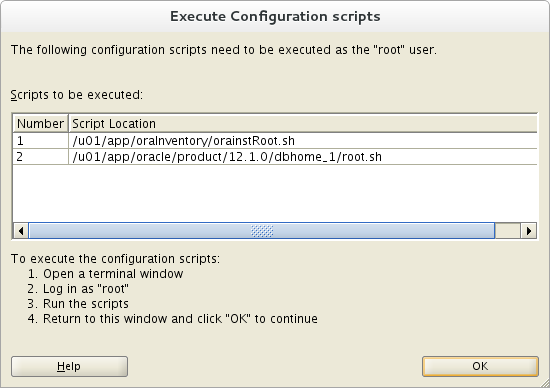 Execute following scripts as root users. 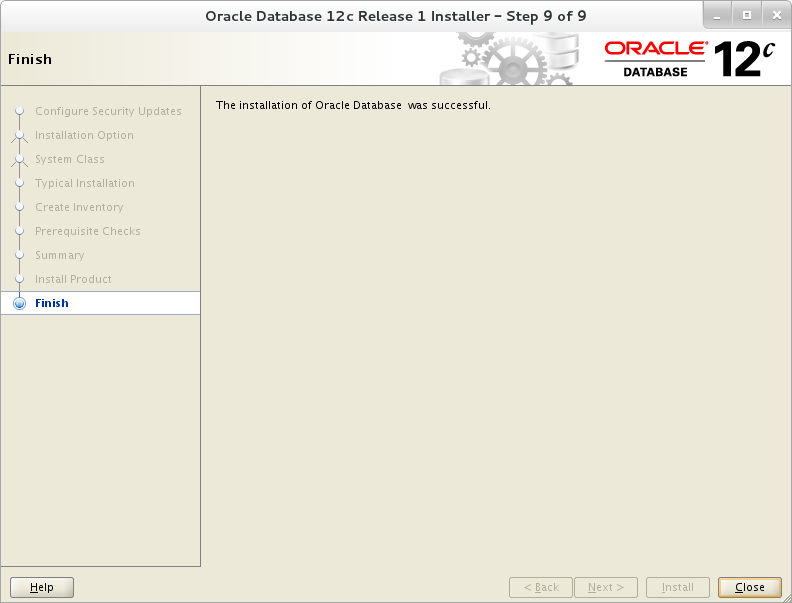 Oracle software installation is completed and now running database configuration assistant for database creation. Unlock user by clicking password management button, or continue. 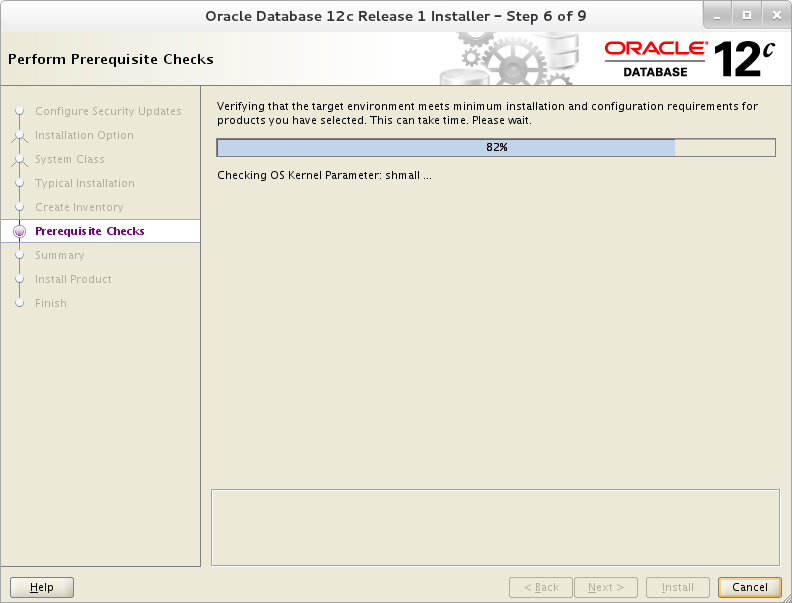 Oracle 12c installation on Oracle Linux 7 is successful. 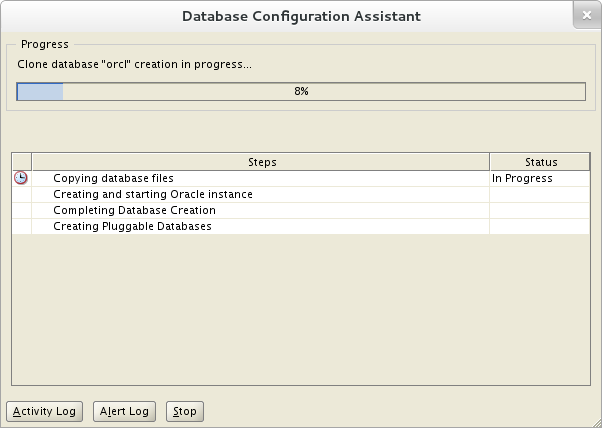 If you wish to start your databases on every reboot then make following changes in “/etc/oratab” file for all databases. Congratulations!! 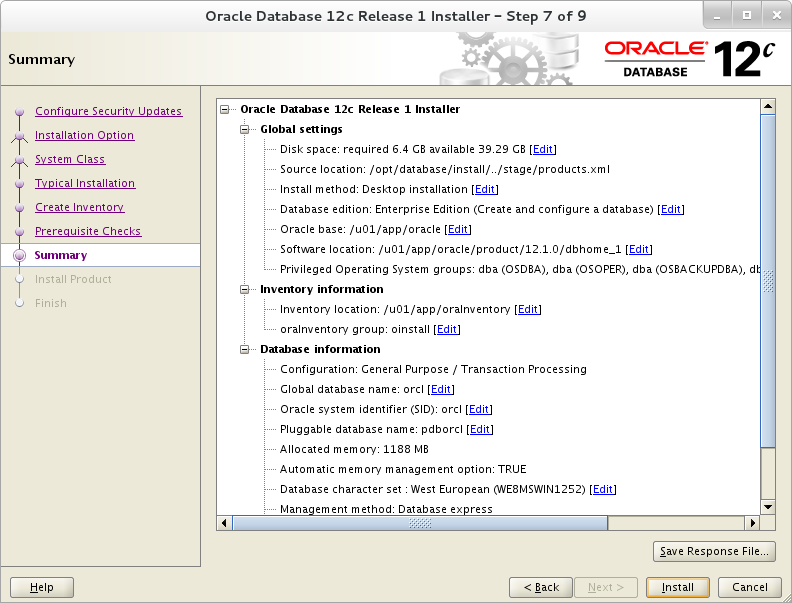 You have successfully install oracle 12c on oracle Linux 7 64-bit OS. 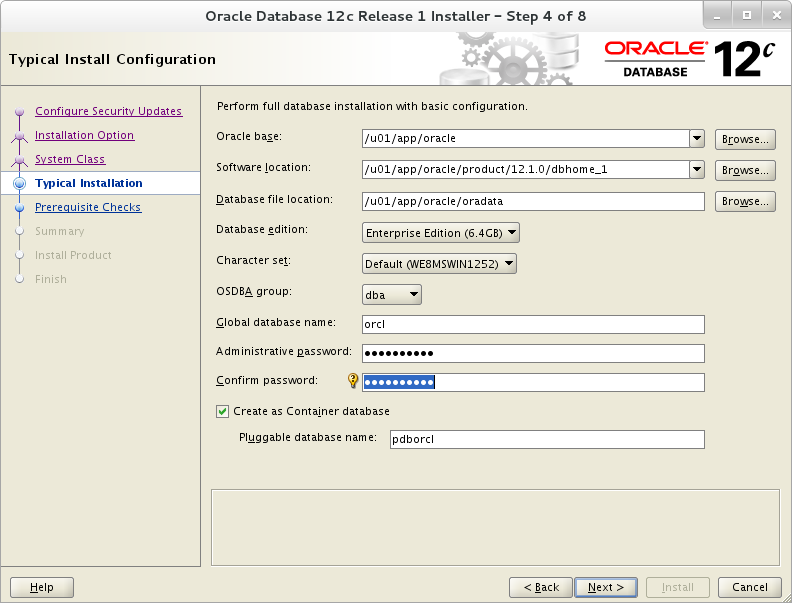 Prior to Oracle 12c, moving datafiles to another location needs downtime ( Need to Offline datafiles ) but from Oracle 12c we can accomplish same with ALTER DATABASE command. Source file would be specified with either filename, ASM_filename or file_number. Destination file should be specified by filename only. REUSE: New file should create even if it already exists. KEEP: Original copy of the datafile should be retained. // Online move datafile with the help of ALTER DATABASE command + File name. // Online move datafile with the help of ALTER DATABASE command + File number. Cheers!! 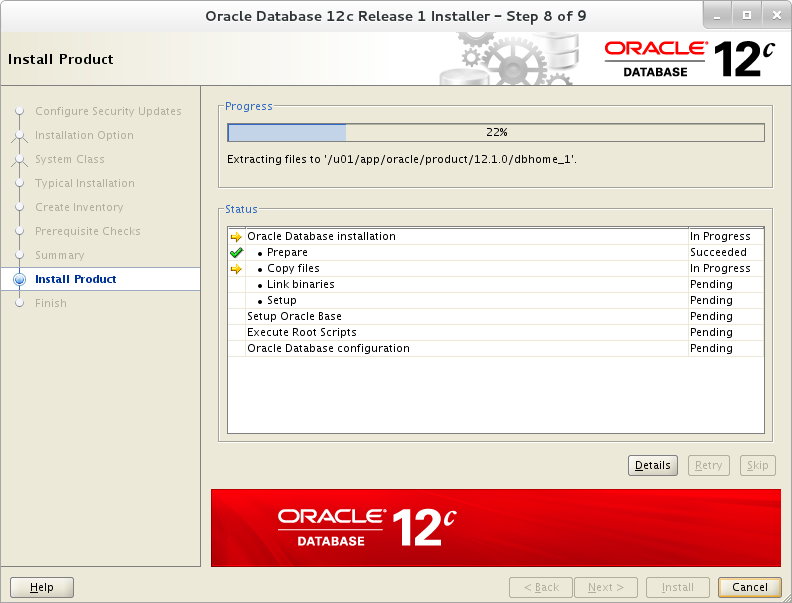 Now we can move our datafile without downtime with Oracle 12c. Today, I came across the “ORA-00265: instance recovery required, cannot set ARCHIVELOG mode” while converting database into archive log mode. This error usually caused when database crashed unfortunately or we shutdown database with the help of database shutdown command as: shutdown abort, startup force mount or shutdown abort. These types of command will required instance recovery in next startup. In short it need clean database startup. Database has been configured in archivelog without oracle error:ORA-00265, because this time we shutdown our database in normal way. Following SQL* Plus are used to start/stop a pluggable databases. Priviledged user must be use to connect pluggable database. I will simulate whole pluggable database management with the help of HR & SALES pluggable databases. In this article we will see how to delete pluggable database manually using SQL Prompt. If required keep associated datafiles, in case of future use. Pluggable database should be closed before being dropped. I will simulate scenario with the help of PLUGDB & NEWPDB pluggable databases. To make a clone of existing pluggable database is exactly similar to creating a new pluggable database from the seed pluggable database. We are using local pluggable database (non-seed) as the source to clone new pluggable database. Source pluggable database should open in READ ONLY mode. // Ensure your pluggable database is in READ ONLY mode, if not then convert it into READ ONLY. Unfortunately, There is no default mechanism to start all Pluggable Databases. While startup of Container Databases, all the Pluggable Databases will be in mounted state. But we can accomplished same with the system trigger on Container Database to start PDB[s]. Following trigger will automatically open all PDB’s while starting up CDB.